winter sun is closer now than in summer. Our days are shorter and colder. The irony of our rotation makes me want to laugh. The snow reflects brightly, the day so blue. 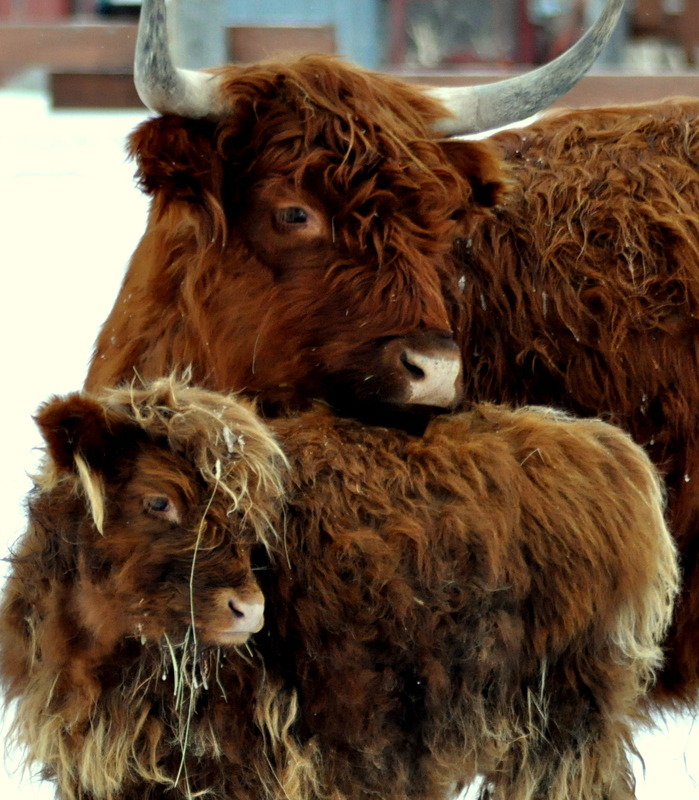 Our cattle are covered in frost. The snow reflects light so brilliantly today. The false heat waves shimmer. The cold: a hammer strike. The winter dance wraps us in layers thick and warm. The body sweats and dreams of spring. The cold sun lies for months. Inspired today, at up to -27C (yes up to, we were much colder), by our dogs and cows who were fooled by the sunlight and chilled by the cold.